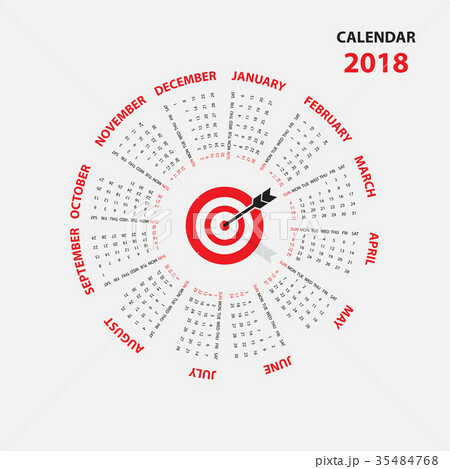 2018 Calendar Template.Calendar for 2018 year. イラスト素材: 2018 Calendar Template.Calendar for 2018 year. 2018 Calendar Template.Calendar for 2018 year.Calendar Starts from Sunday.Vector design stationery template.Flat style color vector illustration.Yearly calendar template.Calendar 2018 Set of 12 Months.